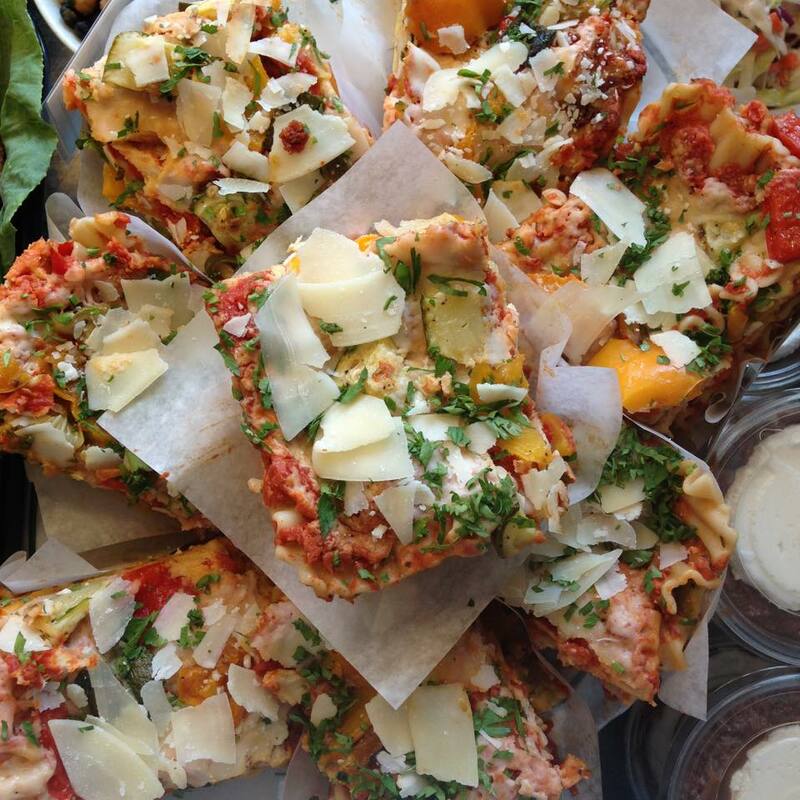 Be prepared with great, hearty and homemade meals and hors d’oeuvres from 67 Biltmore! Let 67 Biltmore cook your Thanksgiving Dinner! Thanksgiving is quickly approaching! Need help with food for your feast? If you want all of the traditional Thanksgiving fare and you don’t know how to make it, if you’re thinking of cooking a big turkey but your oven is too small, if you’re making the meal for your family but have a guest who is gluten free & dairy free, or if you plain and simply want someone else to cook for you – 67 Biltmore has you covered! 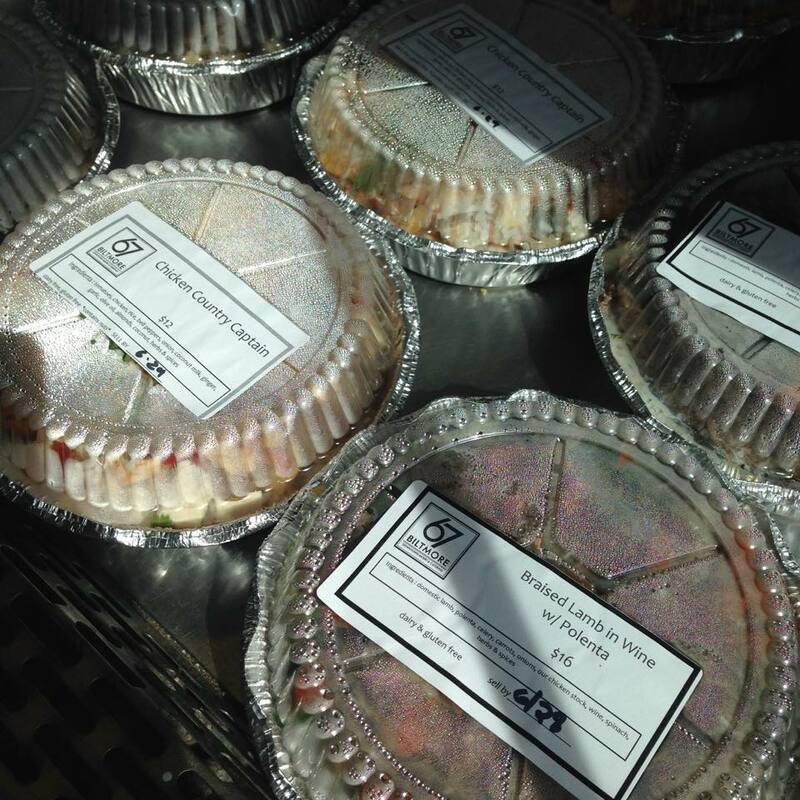 Every year, we make a full Thanksgiving menu available for pick up with complete and easy re-heating instructions. No one needs to know you didn’t spend all day cooking! Our menu is made with love and attention and every year our staff looks forward to the fun and excitement of sending you off with a nice meal for the holiday. See below for the complete menu and details! If you would like to download the menu, click here. There’s never a more fragrant, fresh, and booming time in the kitchen than in the late Spring and early Summer. Farmers deliver fresh veggies, meats, eggs and cheeses and the cooks put these products to great use! 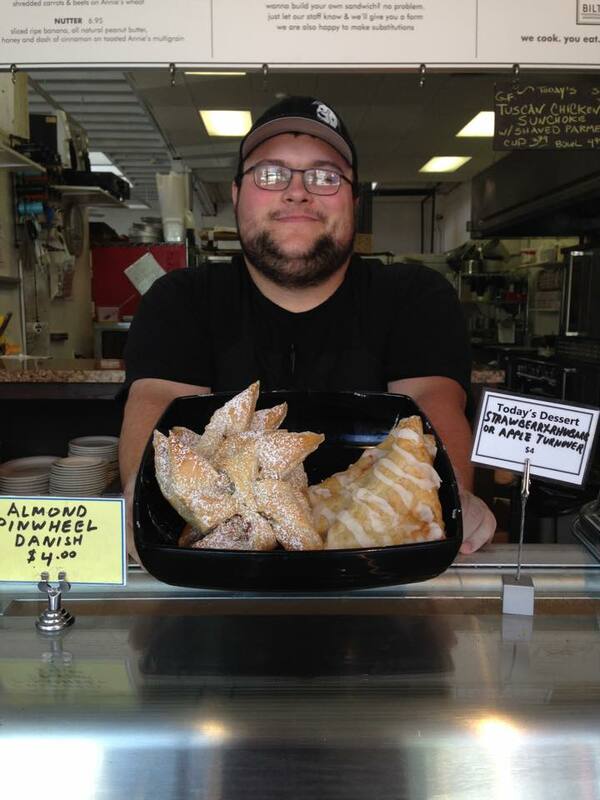 Whether it be for breakfast, lunch, dinner or catering events- they’ve been cooking away. We’ve been so excited to see everyone’s faces in the shop and at events and we hope you like what we’ve made! The food prepared this week has been beautiful and delicious! Whether it was made for in the shop, for a delivery, or for a catered event, we wanted to share with you some of what we’ve made. If you read to the bottom, you’ll even get a recipe from something Adam made this week so you can make it at home and with your friends and family! 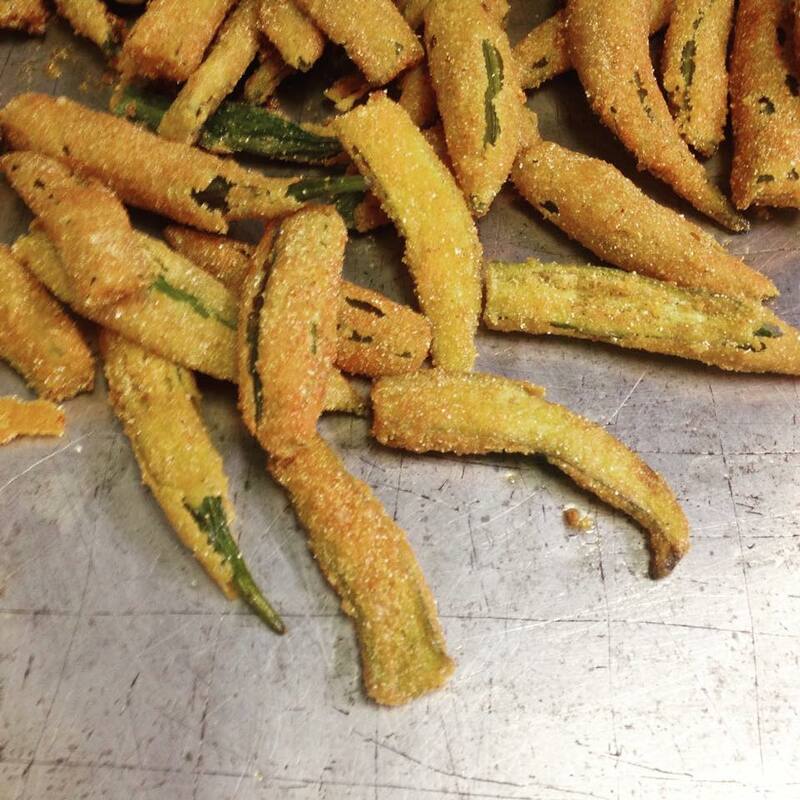 To start, we got Southern with some good ol’ fried okra…. 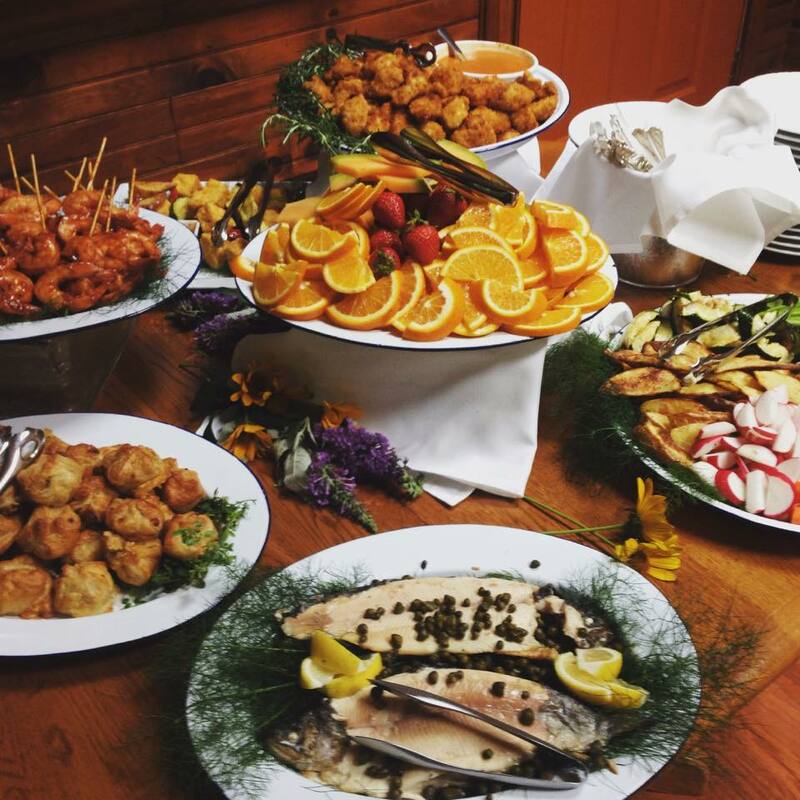 This delicious and fresh spread was a catered dinner for a 40th Wedding Vow Renewal this past weekend. 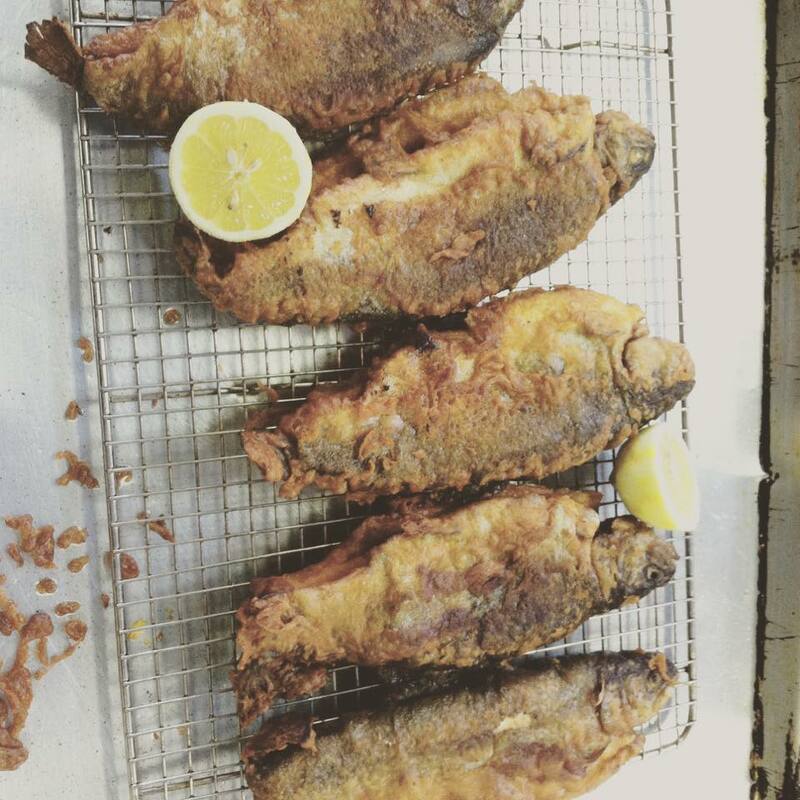 We featured whole fried local trout in the case! WOW! 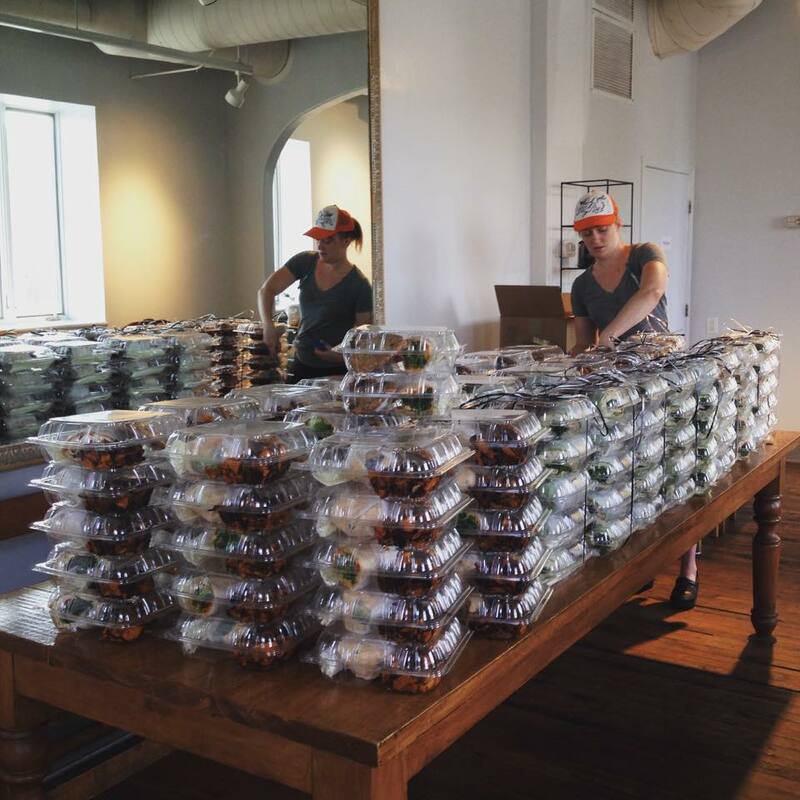 Emmalee prepares a mountain of meals for delivery. 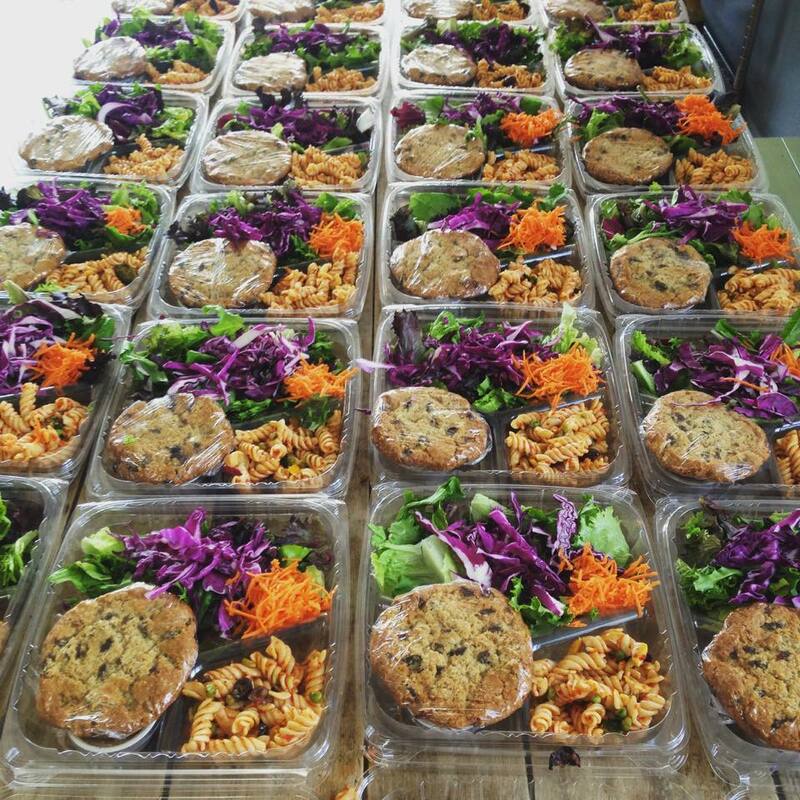 We love delivering meals to your businesses! 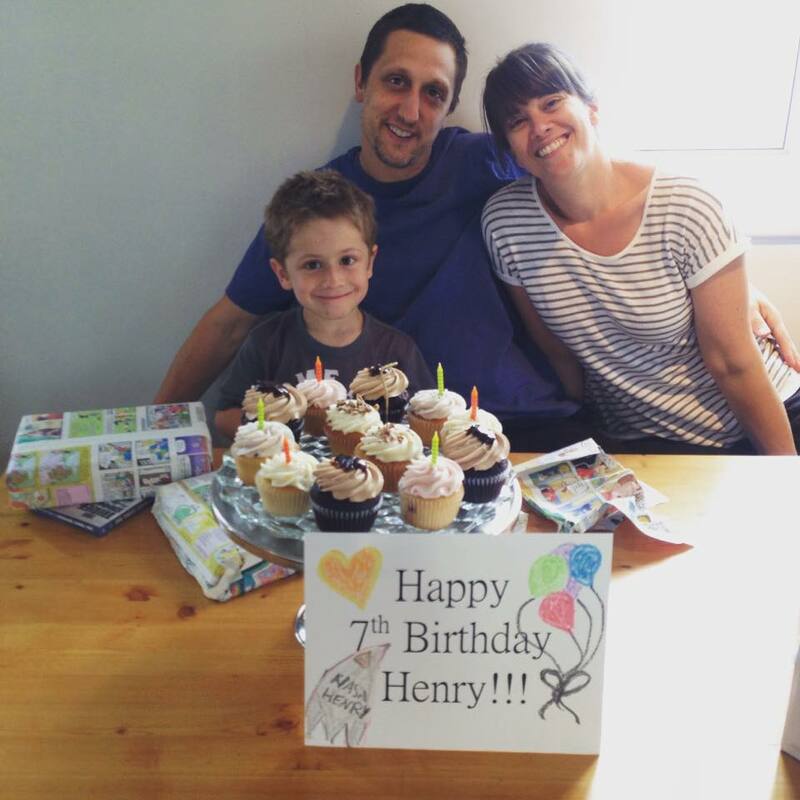 We celebrated Henry’s 7th Birthday on June 23rd! 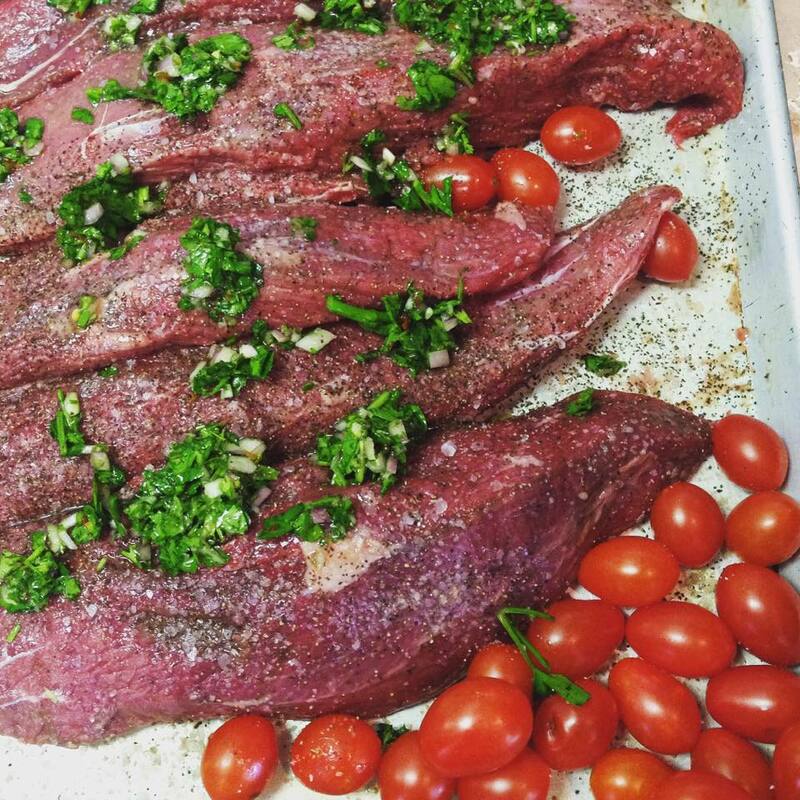 *chop all ingredients very fine – rub on your favorite meat to marinade, or use as a condiment on the side of your favorite dish.